The Bank of England says moving the Office for National Statistics (ONS) to Newport in Wales may damage the quality of its economic statistics. The warning has been made in a submission by the Bank to the Parliamentary Treasury Committee. The relocation of the ONS, and hundreds of its staff, was first proposed three years ago as part of a programme of cuts in the civil service. But the Bank, a major customer of the ONS, says it is worried by the move. Describing the ongoing relocation as a "concern", the bank told MPs that "the relocation programme poses serious risks to the maintenance of the quality of macroeconomic data." "If substantial numbers of ONS staff are unwilling to relocate, the loss of skilled individuals could have a severe impact on a range of statistics," it warned. The Bank of England relies on the ONS for a wide variety of statistics, especially for setting interest rates. The ONS is the main source of data on major topics such as inflation, unemployment, retail sales and economic output. 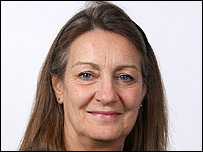 But the bank said it was particularly concerned that the ONS was using only a limited sample of shops and stores to measure price increases each month, and called for the reintroduction of a full rotation of locations for sampling..
Only about 15% of the staff currently employed by the ONS in London are expected to move, according to its head, Karen Dunnell. The main staff trade union, the PCSU, told MPs that it thought only 50 members of staff were planning to leave the capital. Another union, the FDA, warned that the ONS would have difficulty recruiting 400 replacement staff in Wales.